The children of Israel were afraid. They were trapped between water and the Egyptians, and they didn’t believe that God could or would rescue them. Moses knew different. God had told Moses where to go. God had told Moses that He would deliver the children of Israel. So Moses told them, “Fear ye not, stand still, and see the salvation of the Lord . 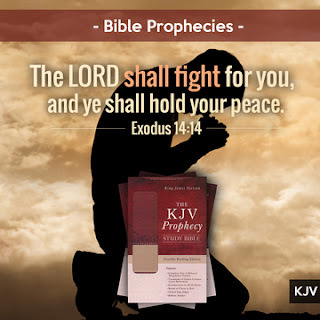 . . the Lord shall fight for you.” And true to His word, God delivered them to safety with His miraculous power. Why do we doubt such a God? Why do we so often try to do things on our own power? God has promised us that He will deliver us to safety. If we are in Christ Jesus, we are not condemned. But this is not of our own power. This is all God. All we have to do is trust the Lord and let Him fight for us! Christ has already done the work of our salvation. We have nothing to fear. 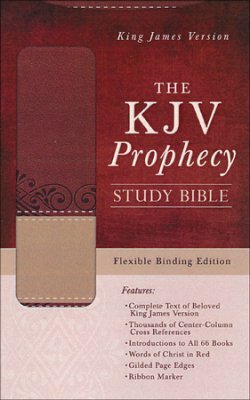 This blog post has been adapted from The KJV Prophecy Study Bible by Barbour Publishing. You can read more about it here.